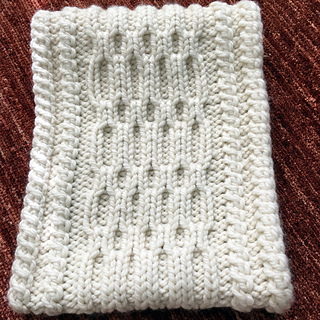 Elegant and simple texture using cable variations shows off bulky heavenly soft and luxurious yarn Burly by Anzula in the best way. Gaufré (French for embossed) is reffered to this beautiful textured fabric. 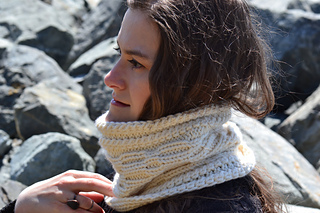 Made in one piece as a short scarf that begins with the provisional cast on. 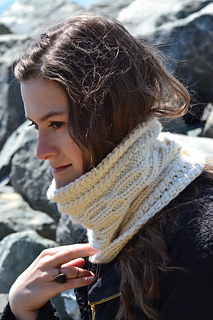 At the end all stitches are bound off with our favorite combination 3-needle bind off for the most invisible result. Video tutorial available in the pattern.